Last week I finally upgraded my mobile computing unit. I am retiring my Lenovo T410, accepting it as the lemon that I put up with for 6 years. With significant thought I settled on the Microsoft Surface Pro 4 for my upgrade. Since school I have dreamed of a computer with a pen that is good enough to take handwritten notes. Unfortunately all the computer-tablets that existed when I was in class were clunky and the pen input was never fast enough or accurate enough to truly take hand written notes. The claims of massive improvement on input with a pen is what has draw me towards the surface line. I have been enjoying my surface immensely. It is by no means a perfect machine, as windows 10 still struggles a little in high DPI tablet form, but its almost exactly what I wanted 6 years ago. Microsoft encourages the use of their note taking application, OneNote, for use on the Surface for note taking and tout the pen integration in the application so widely that a long press of the pen’s eraser from anywhere in the OS will bring up OneNote. I have found that there is a much better note taking application (for me) that is, oddly enough, also made by Microsoft. The application ‘Plumbago’, Latin for lead, is a Microsoft Garage project, and application made by employees basically in their free time, and its is a much simpler but much preferred note taking application. The app just lets you create notebook with a wide variety of paper styles and then gives you 25 pages to write what ever you want in pencil, pen, or highlighter. Its pretty simple but what is does it does right, the controls are simple and intuitive and the pen integration is the best I’ve tried. Just testing around a in a notebook with graph paper I started sketching the items on my desk and got the idea that I could raise my monitor a couple inches closer to eye level and remove the speaker amp from the rest of the clutter. So as I often do I started sketching designs for a little stand that would accompany the amp and provide a little storage. One I had a design I liked I modeled is in SketchUp and printed it out on the 3D Printer. By the morning after having the idea I had created and installed the monitor stand. It had gone trough a few iteration of design on ‘paper’ already moving form squares to hexagons. For a project taking a few hours its, so far, been working wonderfully. I am the first to admit that most of my hobbies are realistically not the most efficient or effective way of handling something. Smart lighting and home automation are a convenience at best and really don’t provide enough utility to be a necessity; Sous-vide while amazing is not going to replace your stove or even a microwave oven; but this week I was able to take a step towards a future I hardly believe in, but many boldly claim might be an upcoming reality: home manufacturing. 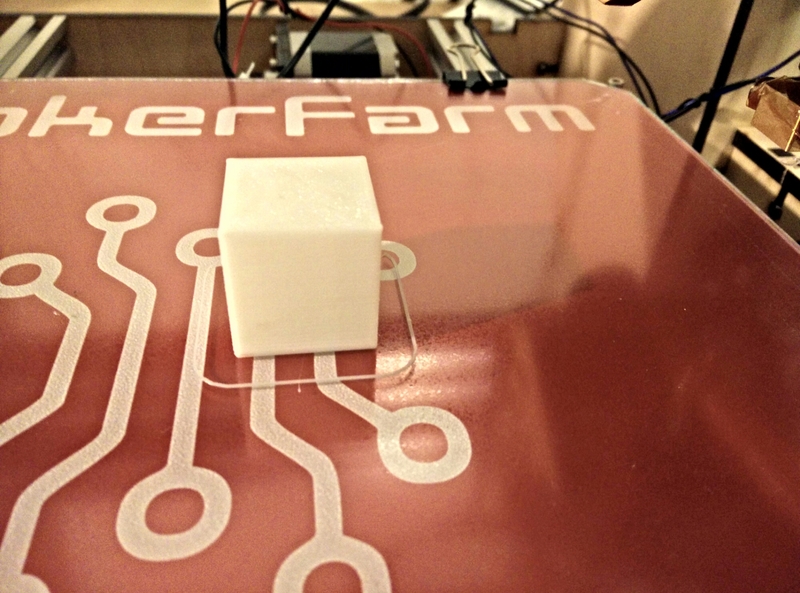 With the popularity of 3D printers many media sources are calling this the start of the home manufacturing revolution. A new way of life that will be as big a change to our way of life as the industrial revolution. While I am very skeptical about this and building and operating a 3D printer has taught me that there are many, many obstacles in the way before this will be close to a reality. 3D printers today are very limited, very expensive, very slow and fairly unreliable, not to mention nowhere near as efficient as a large manufacturing run. But this week I showed myself that there is potential for a home manufacturing revolution. As I spend most of every day sitting at a keyboard poor ergonomics and the cost of them is a real concern. Well it seems i had not been giving it proper attention as this week I started developing the wrist pain that comes from too much keyboard use. After aching through a day at work I came home and realized that I did not own a proper reinforced wrist brace to slap on until my wrist was better and I had made the necessary ergonomic improvements. While these can found online and in most drug stores I remembered a design I had seen that I wanted to try. 3D printing a wrist brace. Modeling and digitally fitting a fully formed wrist brace would be a pain and would by very difficult and time consuming to print. This design, of which I found a few iterations online, is ingenious as it uses the relatively low melting temperature of one of the commonly printed plastics, PLA, to make printing and fitting much easier. The brace is modeled and printed as a flat piece and after a dip in near boiling water becomes malleable enough to be wrapped around a wrist. Once cooled it maintains this form and is stiff enough to provide support. While certainly not as comfortable as a commercial wrist wrap it worked quit well. The model I chose had fitting s for Velcro to be used to hold the brace in place but I found wrapping a compression bandage around it worked quite well, though it covered all those pretty hexagons. The printing of each brace took a little under an hour and half and the forming took just minutes, all without leaving home. It may not have been modeled from a 3D scan of my hand but it held up for a few days until I manage to get a proper brace and it was and interesting talking point to all who noticed. 3D printers will probably not be as popular as the inkjet for decades to come, and editing a model in CAD will never be a simple a writing up a document, but there is potential for 3D printing and home manufacturing to replace as least some mass manufactured products. In the news this week Apple unveiled more information about their newest product, the Apple watch. Discussions of smart watches (smarches) are very polarized, especially within the smart watch community. Whether or not smart watches are useful and what system is the best; Android Wear vs. Apple Watch against all the rest, the market is already pretty big. Personally, I am a backer of the Pebble smart watch, having been wearing one for nearly two years. Pebble has strategically launched their new watches in time with Apple’s event even though neither devices will be on anyone’s wrists for another few months. Still many are drawing conclusion and making unfounded comparisons between the two. Since I have access to a 3D Printer I decided to make a less-biased comparison and compare the physical form of the two. The Pebble Time is wider than the Apple Watch, which is much smaller than I expected it to be. 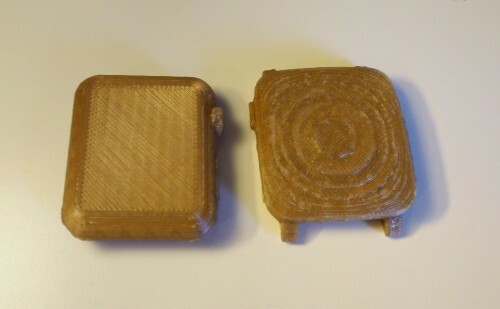 The model I printed is of the 42mm model which is the larger of the two offered. The Pebble time is significantly thinner than the Apple Watch, and with the rounded face feels much more like a watch. The Apple watch gains a lot of thickness from the heart rate sensor the sticks out of the underside of the watch and the round rectangle shape make it feel like a mini tic-tac case. With out regard to my personal preference in smart watches, it amazing how small both of these devices are. Today I held a race of man vs. machine. Myself against my 3D Printer. 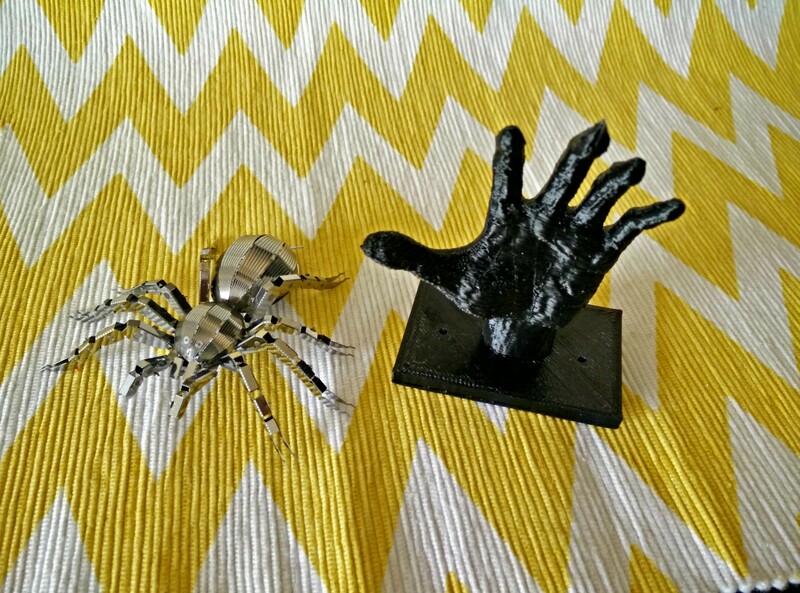 I started printing a hand shaped coat hook and started a Metal Earth model of a tarantula. After a few hours though it was still neck and neck, but the printer managed to finish the hand a few minutes faster than I could assemble the laser cut model kit. Last week I revived a very special package, a box containing all the components I would need to assemble a printer. 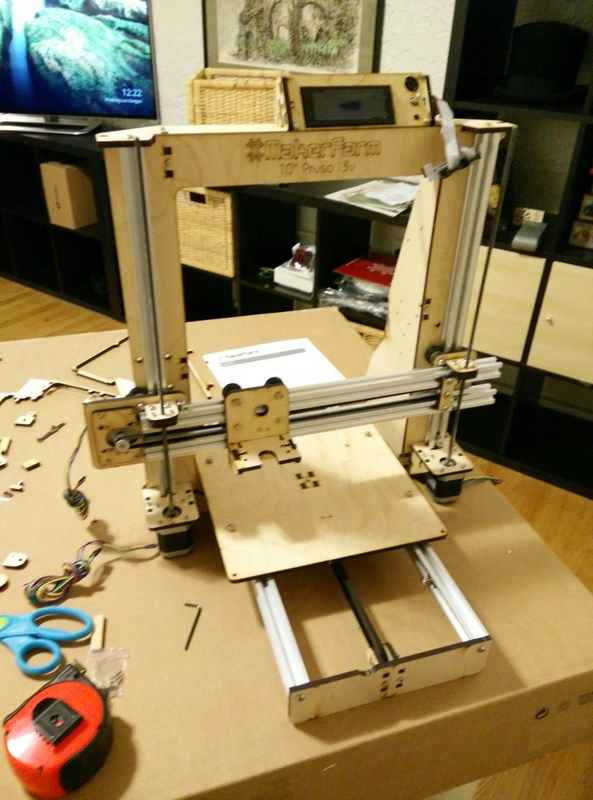 “Why would anyone what to build their own printer? Electronics stores are almost giving away ink jets these days.” This printer does not print with ink or paper, it prints plastic. There are many types of 3D printers but the ones that have been making the most news are Fused Deposition Modeling (FDM) printers because a combination of expiring patents and availability of precision parts had made it possible for anyone with some time to kill to build one. 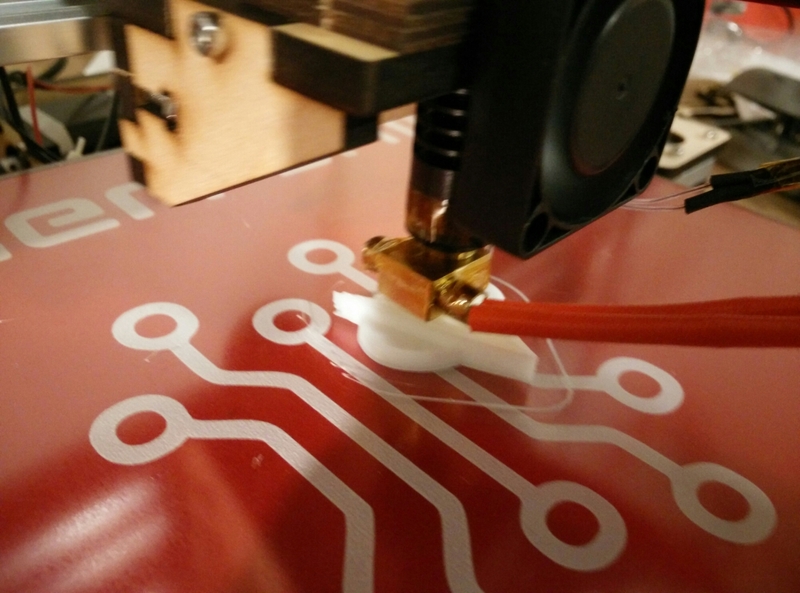 FDM printers work by heating plastic until it is soft and malleable then pushing it through a pin hole opening to form hairlike strands of the plastic. Motors and belts move this extruder around while it is pushing the plastic out which forms shapes. This is repeated over and over creating layers of a 3D object. If you want something done right, you need to do it your self. Though this is not always true, its often applicable in the world of 3D printing. More and more people are making businesses out of selling and servicing 3D printers, most printers have no support other than the operator. That’s why its a good idea to build the printer one’s self and get a good knowledge of how the machine works, because eventually it won’t. 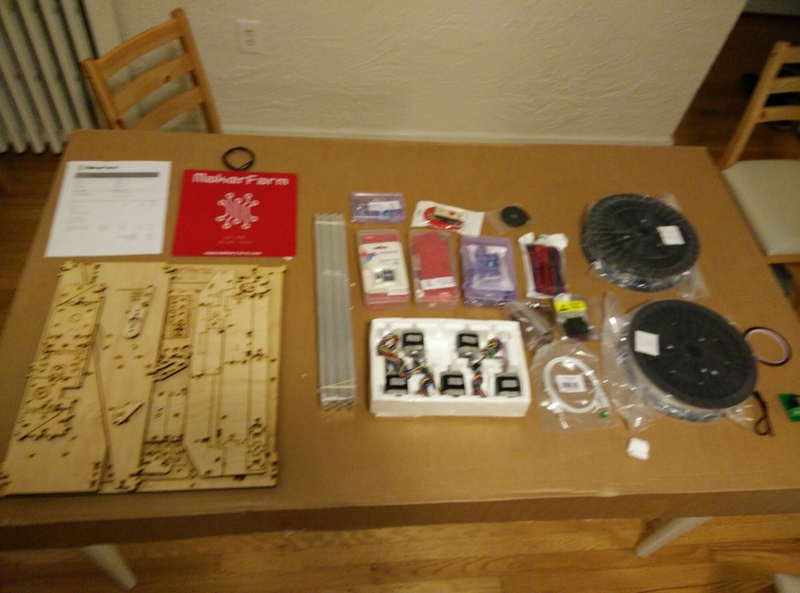 I purchased a kit from Makerfarm for a Prusa i3v 10. 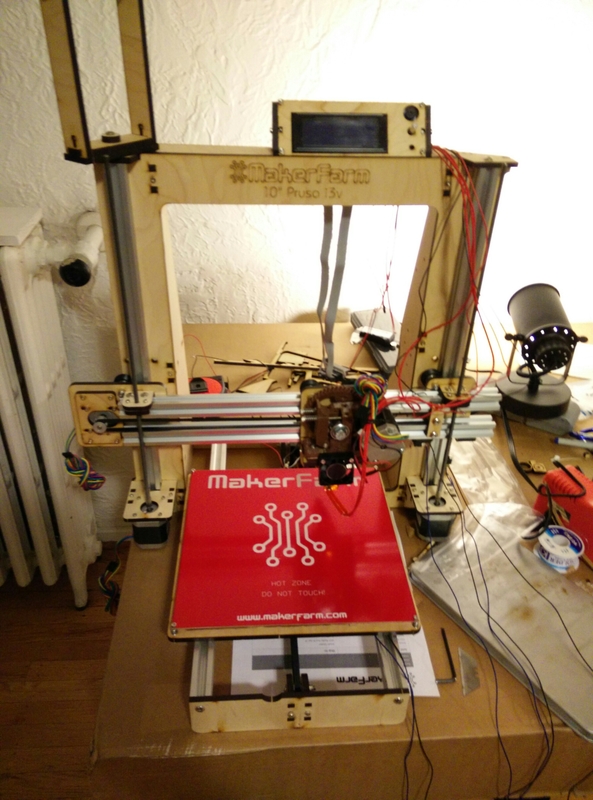 A printer in the popular open source Rep-Rap family. This kit came with almost all the prices needed for full assembly, I just needed a power supply and a piece of glass for the build plate. The assembly was fairly straight forward with every step of the way documented by YouTube tutorials. Putting in hours after work it took me a few days to get it ready to print. The first print was a calibration cube, 24mm by 24mm by 24mm, and it took me three tires until I could get one to print completely. Printing this helped me troubleshoot and find anywhere that I may have made a mistake when building the printer. I had to deconstruct and rebuild the extruder because some part of it were not tight enough the first time. Once the calibration cube was completed, it turned out very nice. Often these printers require hours of tuning and calibrations before they will print anything decent. This Prusa i3v just need some bed leveling at it printed pretty well. 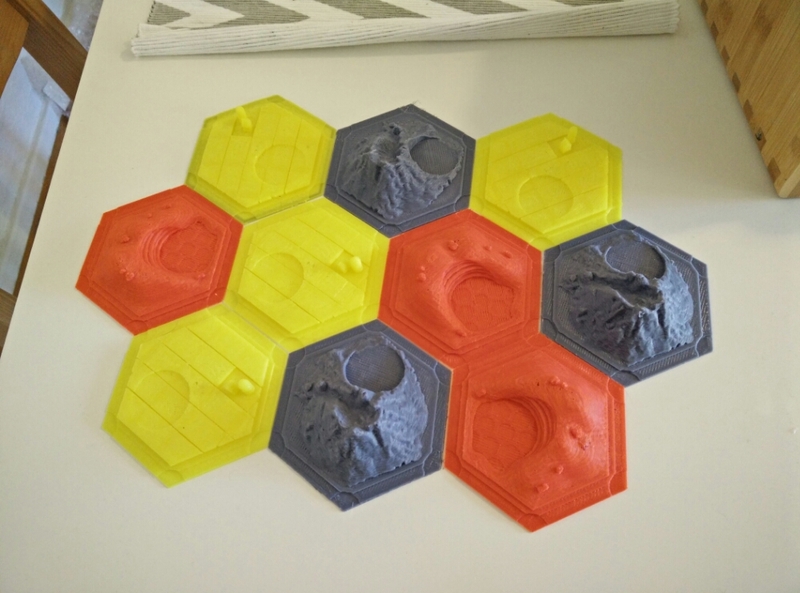 Eventually I will go through all the setups and calibrations to get perfect prints but first I want to try something a little more ambitious than a cube. I printed a few of these Star Trek com badges. A fan design that merges the styling of the new movie series with the com badges from The Next Generation. That’s pretty cool but I think we can do more. 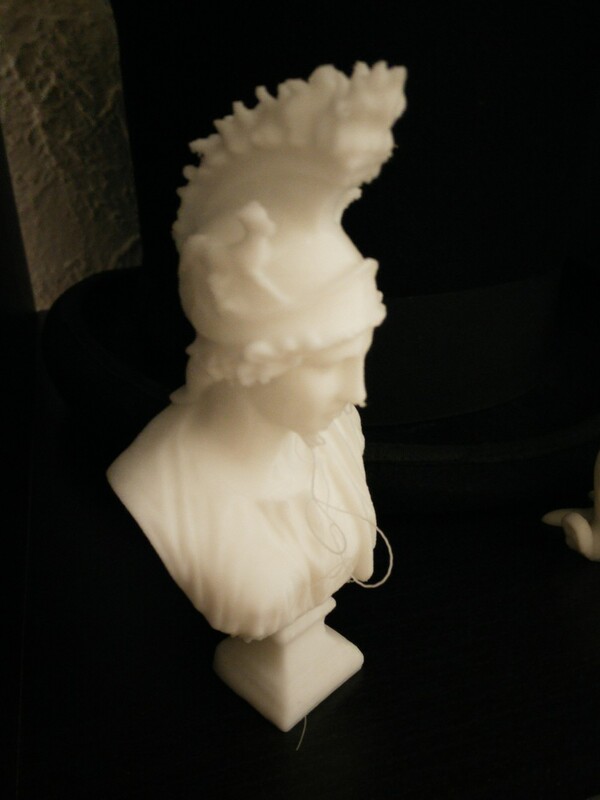 Though it didn’t come out perfectly I was able to print this bust from a 3D scan of a Greek statue. The entire thing took almost 6 hours to print but it came out pretty well. 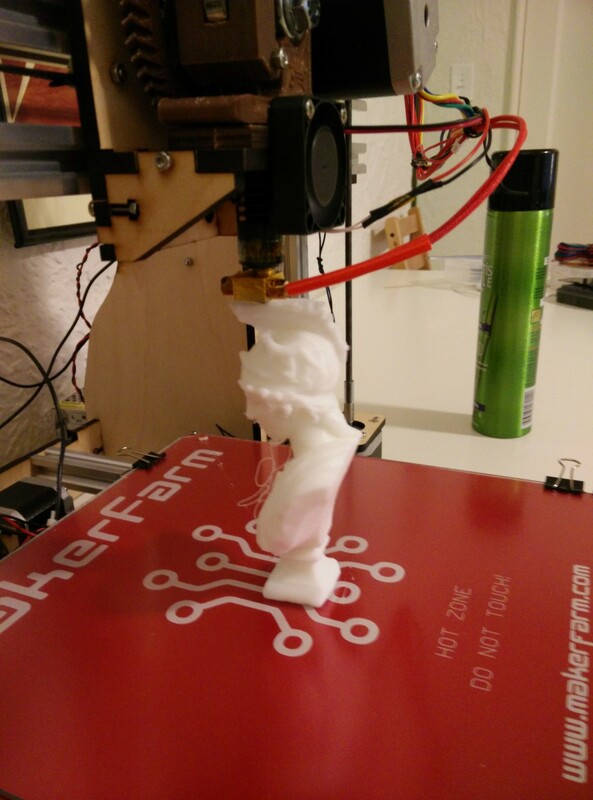 The spaghetti like string hanging off it are places on the statue, like the chin, where the overhang was too great for the rigidity of the plastic and the print was printing on air. To counter this prints with overhand are often printed with attaching support material. With 3D printing one also gets a choice in the material to print with. The most common choices are plastics, specifically PLA a corn based plasic, and ABS you standard toy plastic. All the prints made from the white material are PLA. 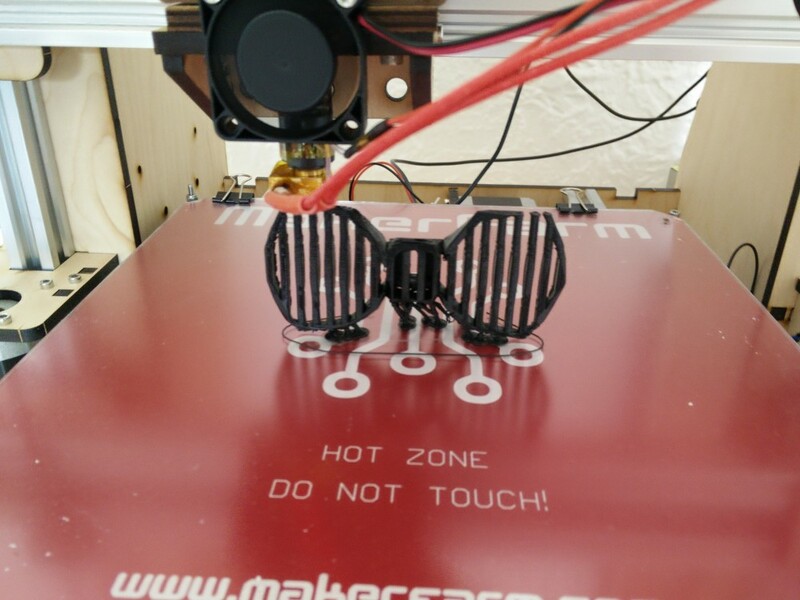 PLA is considered the easier print material to use because it melts at lower temperature than ABS, cools faster, and is completely nontoxic. PLA is more brittle than ABS and more sensitive to temperature changes, making it very good for display pieces but not for functional parts. 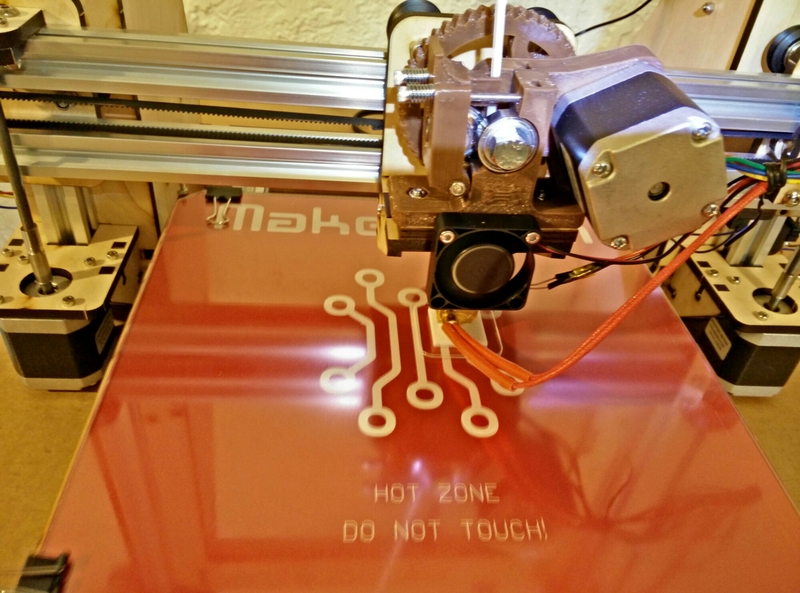 To print with ABS a printer needs to have a heated build plate to keep the model warm while printing. 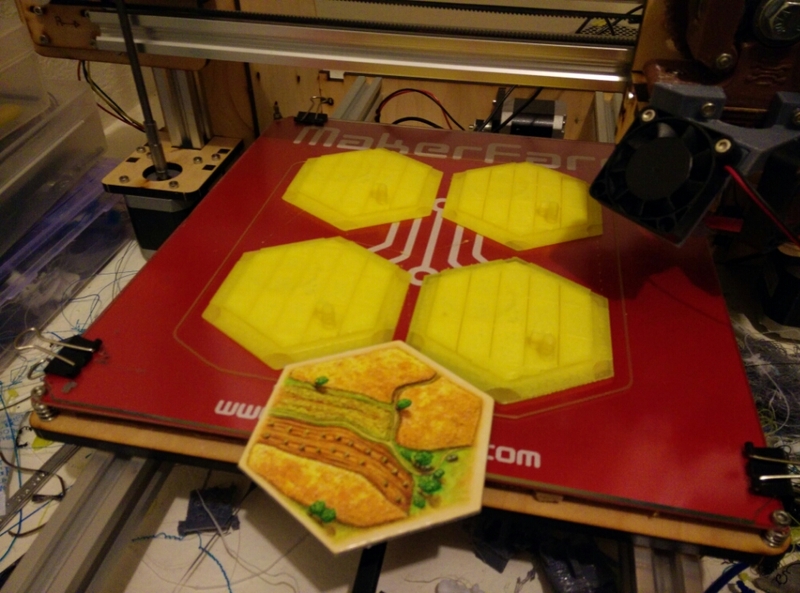 Since ABS cools slowing than PLA a ABS print that is not heated will curl and bend as it cools, causing the print to fail. My printer supports printing with both PLA and ABS and I also purchased a spool of black ABS plastic. Above is one of my first prints with it, a clip on bow tie. 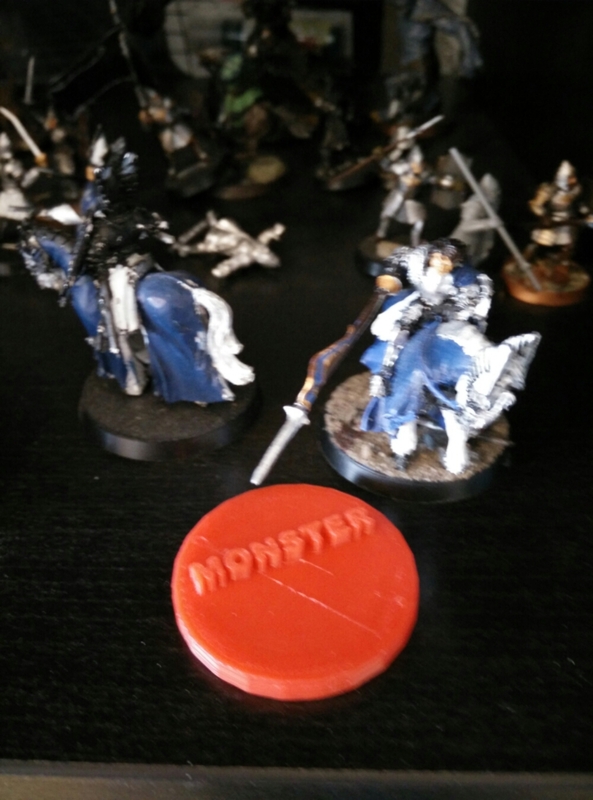 3D printing is still in a state where it’s really only best for hobbyists, but it is fun hobby to have. This is not the home manufacturing revolution some say it will be, but it might be a baby step towards star trek style replicators, and I am glad to have a piece of the future sitting on my table.